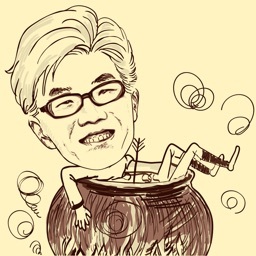 MomentCam Cartoons & Stickers by Hightalk Software Corp.
With over 300 Million downloads, MomentCam turns you into funny cartoons. MomentCam gives you the power to express your emotions by creating funny cartoons and emoticons. 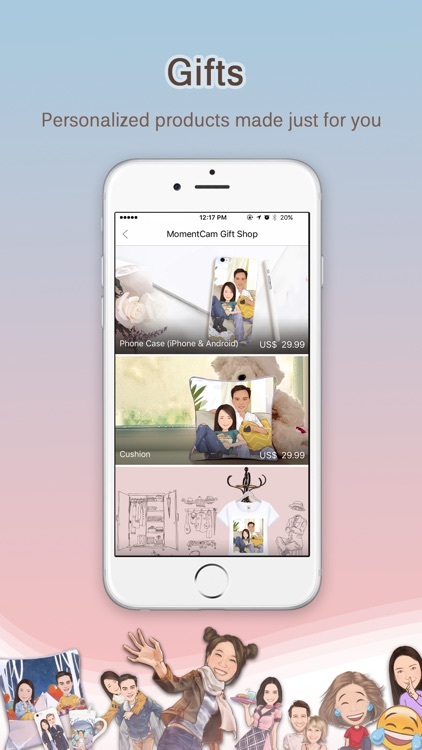 Select a picture of yourself or your friend and let MomentCam run its magic by turning it into a stylish cartoon. Add some funny features such as beards, hats, glasses and select a background to create a Momie! Simply share it with your friends across various platforms and enjoy the smiles! 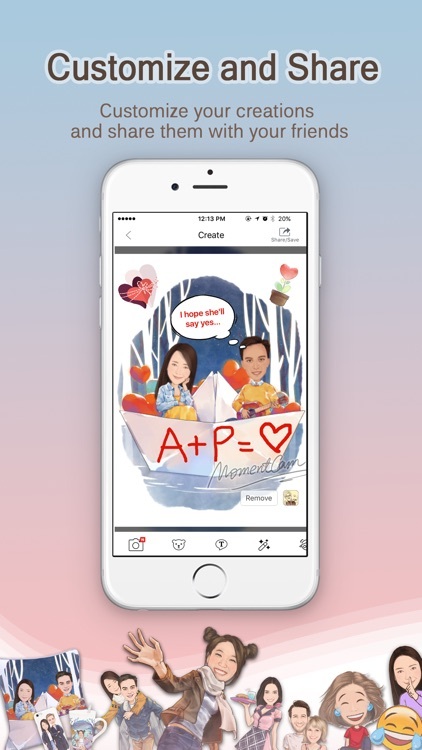 With a database containing thousands of backgrounds which are updated daily and are created for every occasion, region, cultural and pop reference, MomentCam will keep you wanting to come back for more. 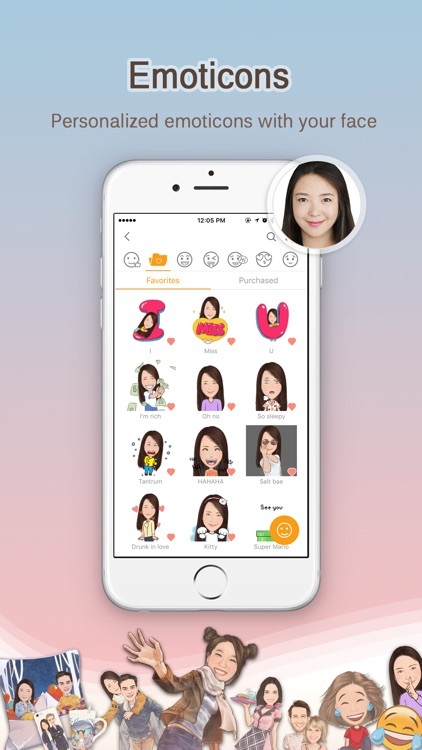 MomentCam also allows you to create your own personalized emoticons, with funny gestures such as simleys, winks, to express yourself in the funniest way possible. 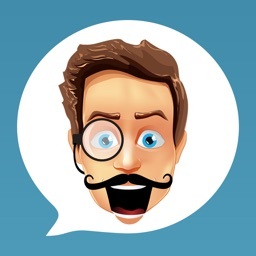 ►TURN yourself into hilarious cartoons and animated emoticons. ►COLOR CARICATURES! Express your colorful emotions and situations in special color caricatures. 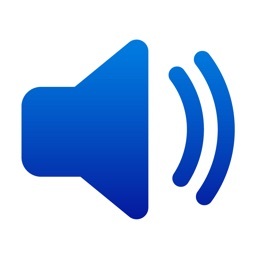 ►TEXT BUBBLES! Add some quotes and jokes to make your caricatures funnier. 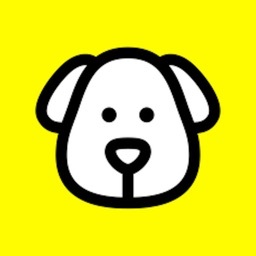 ►SHARE your caricatures and animated emoticons on Facebook, Twitter, Instagram and WeChat. 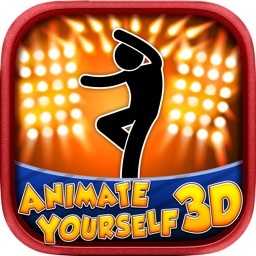 ►EXPLORE a whole world of options to create a completely personalized cartoon of yourself. ►FACIAL EXPRESSIONS: You can now change the facial expressions of your cartoon in the Face Edit tab to show surprise, sorrow, romance, and many more! 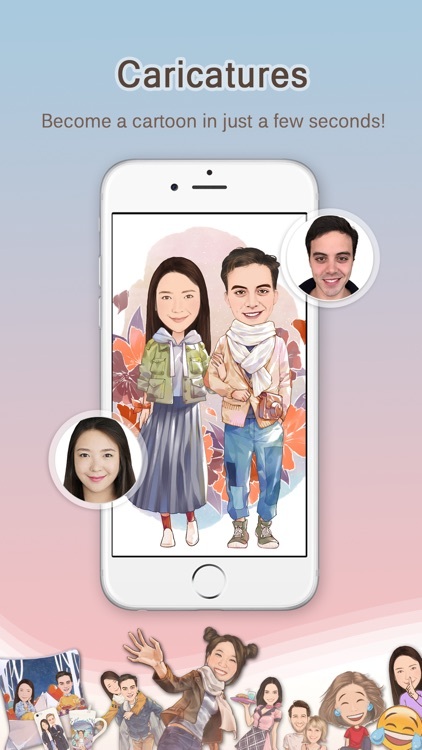 ►SURPRISE your friends by creating personalized caricatures of them and sharing it with your group of friends and family. ►JOIN a community of millions around the world who love a good dose of humor using MomentCam. 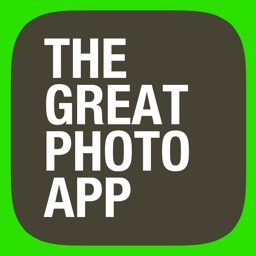 ►ENGAGE in activities to win prizes by sharing your creations with the whole world. 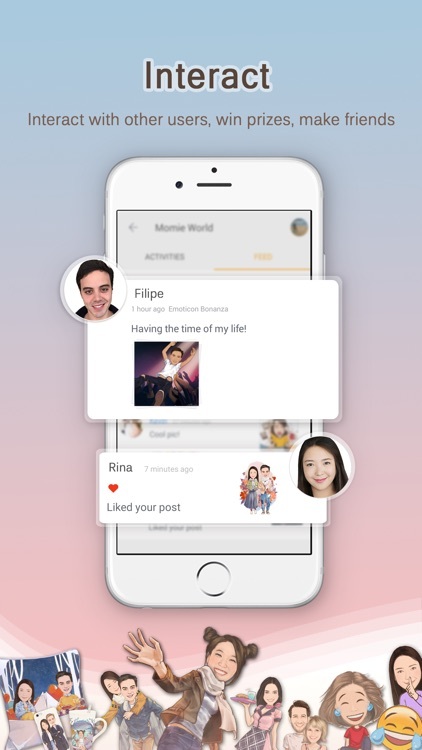 We are always trying to improve MomentCam and are happy to listen to your opinion.